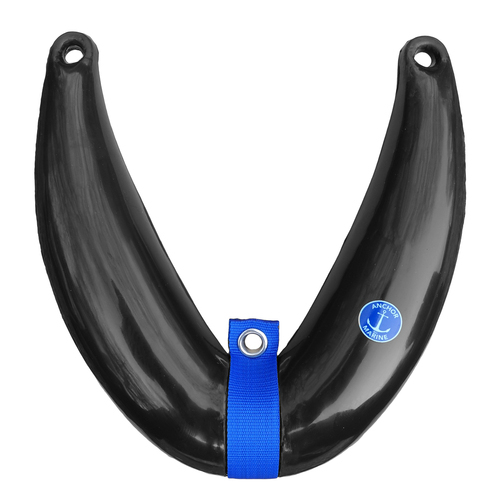 Horseshoe bow fender with nylon tape fixing hole to help protect the front of a boat. 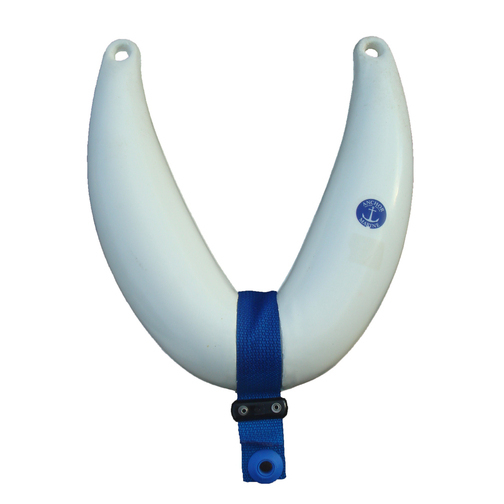 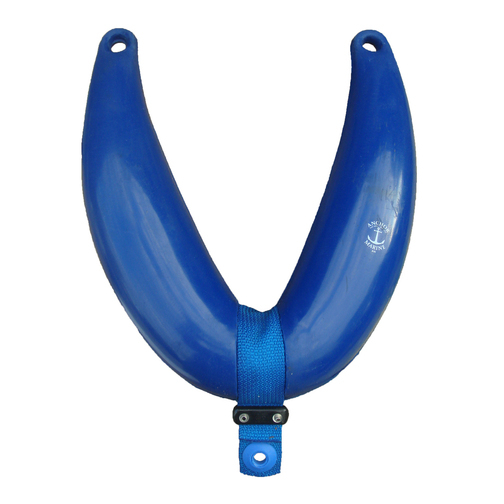 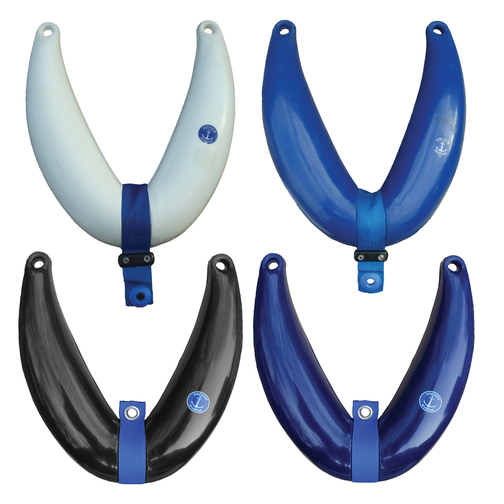 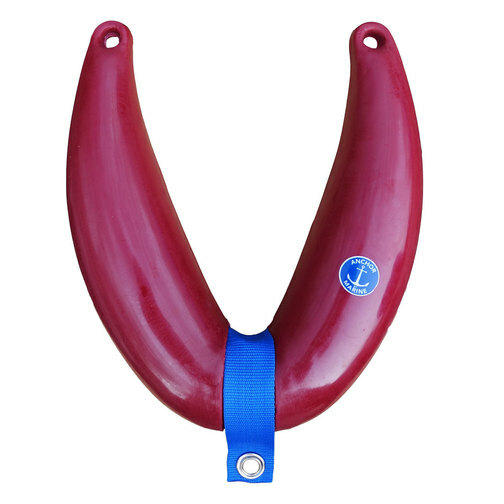 Small horseshoe type bow fenders that are useful for protecting the front of the boat. 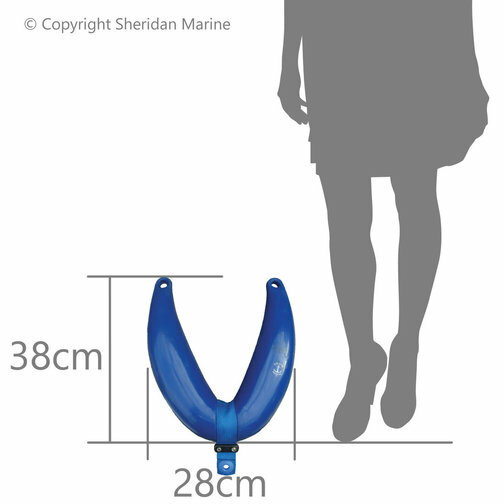 These fenders can be fitted using the two fixing holes at the top of the fender and the third hole located on the nylon strap around the middle of the fender.